VoLTE is rapidly revolutionizing voice service for mobile communications. But making the transition to this new standard involves a number of major changes involving technology, service and pricing, among many other areas. At Syniverse, we’ve been right in the middle of helping mobile players navigate this transition, and I recently had an opportunity to share my VoLTE perspectives in an interview for Wireless Week. I invite you to read the full story below, and to leave me a comment below if you have any thoughts on this fast-moving area of mobile. Voice over LTE. VoLTE. You’ve no doubt heard of it by now, and chances are many of your calls utilize the technology. But why is VoLTE so huge and why are carriers rushing to roll it out across their networks? [Wireless Week] What’s the case for the shift toward VoLTE over traditional services? Why are operators drawn to it? [John Wick, Syniverse] The shift toward voice-over-LTE (VoLTE) continues to grow because traditional voice calling services have limited efficiency and quality. 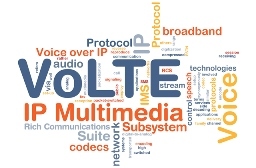 VoLTE offers a richer multimedia voice experience for the user and reduced costs and complexity for the mobile operator. One way VoLTE reduces complexities and costs is by eliminating the need for operators to have voice and data services running on separate networks. Traditional voice calling services have been based on call location and duration over a circuit-switch network. VoLTE calls, on the other hand, are sent over a LTE network based on data – using KBs and MBs. This allows operators to consolidate their voice and data equipment and various services with everything traversing a LTE network. Furthermore, operators are drawn to VoLTE for its added benefits of faster connections between callers with improved call setup times and more control over a roamer’s voice traffic. Operators can also leverage VoLTE to provide high-quality services that further induce revenue generation. For example, VoLTE has increasingly become an attractive service for end users and businesses because it allows users to move from voice to video, share files, send text messages, and access the internet and social media, all within a single session. Operators that offer these services via VoLTE are differentiating their brands, which will reduce subscriber churn, and ultimately bring greater efficiency to their business. Read the remainder of the article on Wireless Week site.